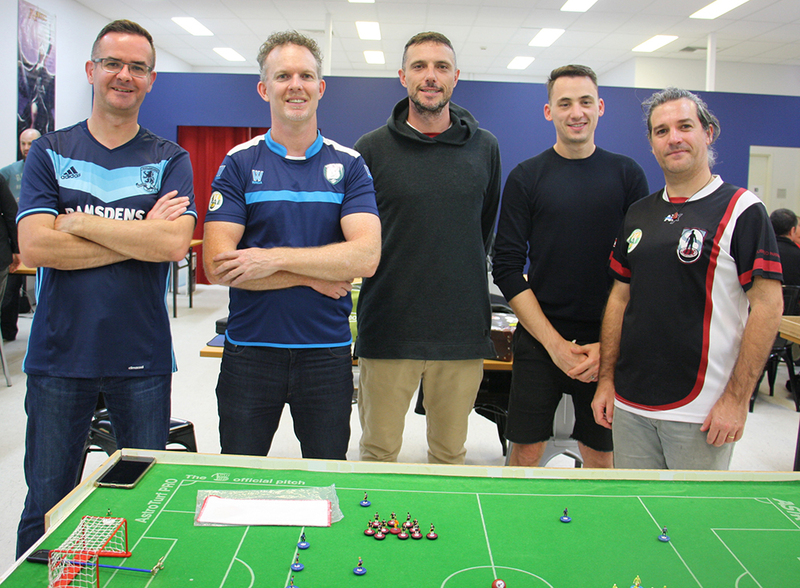 Western Flickers’ Adrian Connolly was heading to Parramatta for a week of business, so the Subbuteo Parramatta club held a WASPA tournament to give him something to do while he was away from home. Adrian had sharpened his skills at the Victorian Championships the previous weekend and was looking to put them to use. Meanwhile, the Subbuteo Parramatta club was using its new clubhouse at Good Games Bella Vista for their first ever Opens WASPA tournament. With 5 players making their way to the midweek competition, a straight league was settled upon as the best way to go. The opening round saw Adrian C take out a 2 goal victory over Richard with Adrian E doing the same against Dave. In the second round of games, things got really tight – Richard and Adrian E slugging out a 0-0 draw and Mat peppering Dave’s goal, only to see everything saved or hit the woodwork. Then, in the final minute of the game, with his first shot of the game, Dave slipped one past Mat’s ‘keeper with the ensuing victory dance telling the full story! 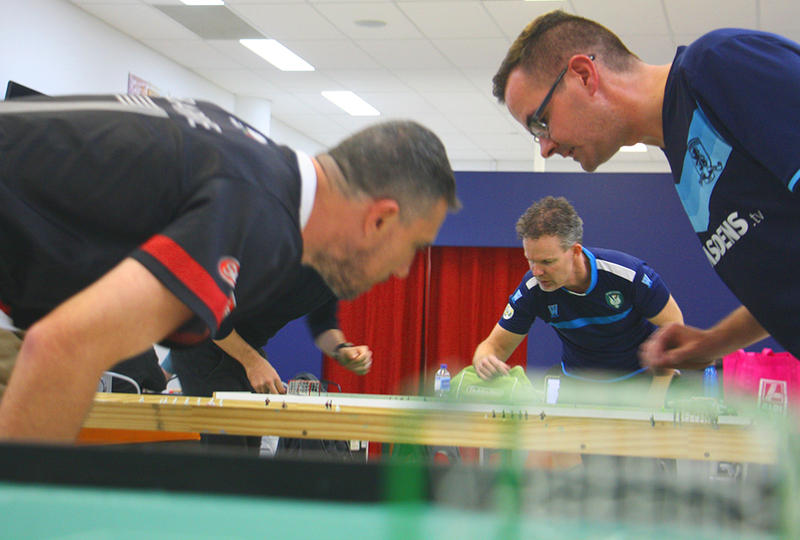 Dave followed this up with another 1-0 win, this time over Richard, while Adrian C continued to build an impressive run with a 2-0 victory over Mat. The 4th round fixtures saw a very tight 0-0 between Adrian C and Dave, while Adrian E got over Mat by the solitary goal. This left Dave, Adrian C and Adrian E all on 7 points with one round remaining. Unfortunately, Dave had the final bye so wouldn’t be able to take the title, leaving the match between the two Adrians as the virtual final. In the final games, Mat picked up his first points of the tournament with a goalless draw with Richard. Adrian and Adrian squared up and the game, as was typical of all the evening’s matches, was an incredibly tight affair. However, late in the first half, the Melburnian made a beautiful incisive flick and shot on the run, putting the ball into the goal with the Sydney-sider not even behind his goal line. Holding on to his lead for the rest of the fixture meant that Adrian C would return home with the title, having seen off all his Subbuteo Parramatta opponents. This entry was posted in News and tagged adrian connolly, adrian elmer, dave sultana, good games bella vista, mat barrie, richard wilson, subbuteo parramatta, waspa tournament on 23/05/2017 by ajebec.